With flying foxes, slides, picnic spots and bike tracks, what’s not to love about Colmslie Beach reserve!! 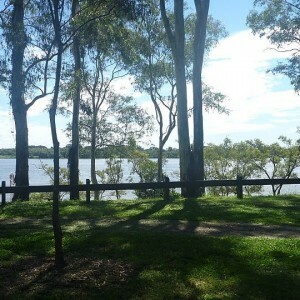 Colmslie Beach Reserve is a WOW Brisbane park for kids that is perfect for a day out in the beautiful Brisbane sunshine. 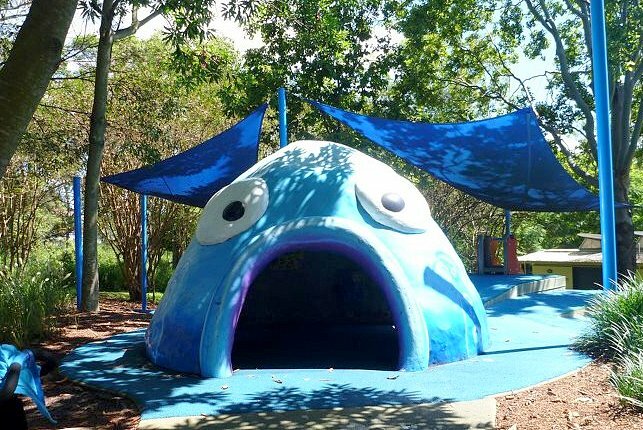 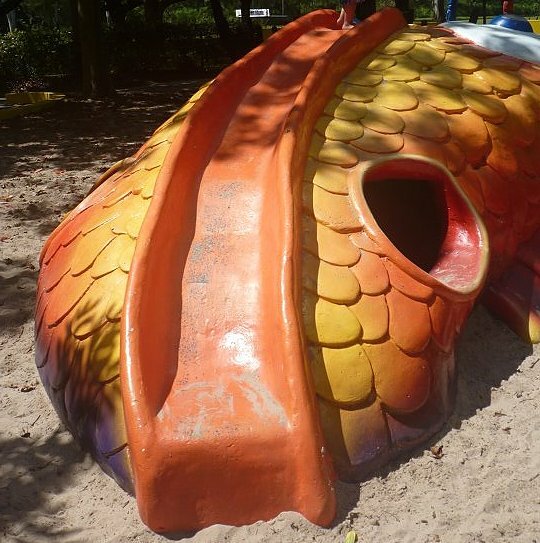 The playground features include a fish and octopus sculpture to climb – perfect for developing gross motor skills in Brisbane Kids. 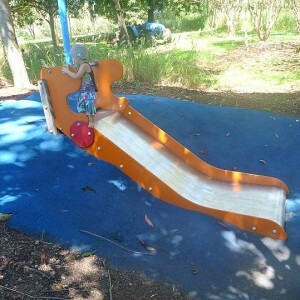 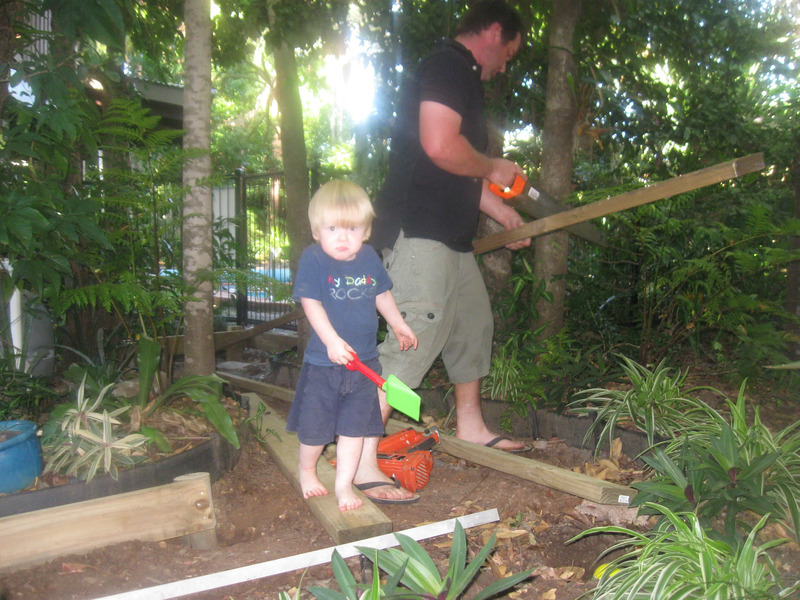 It also boasts great slides, balancing beams and a flying fox for the more adventurous or older child. 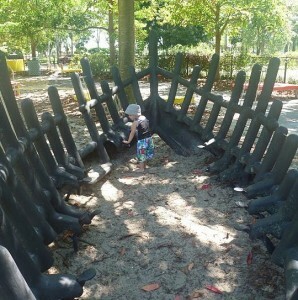 It also has a musical boat making it an awesome place to stretch the imagination and legs. 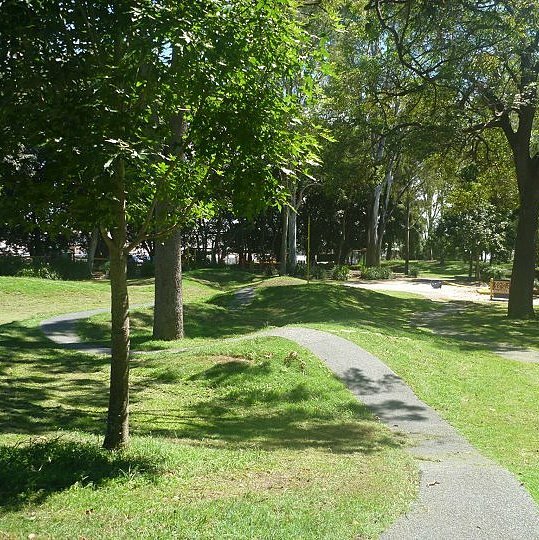 Best of all, there is plenty of space for picnics, as well as loads of shade, beautiful trees and a massive area for cricket or football. Public toilets are provided but the park and playground are unfenced. 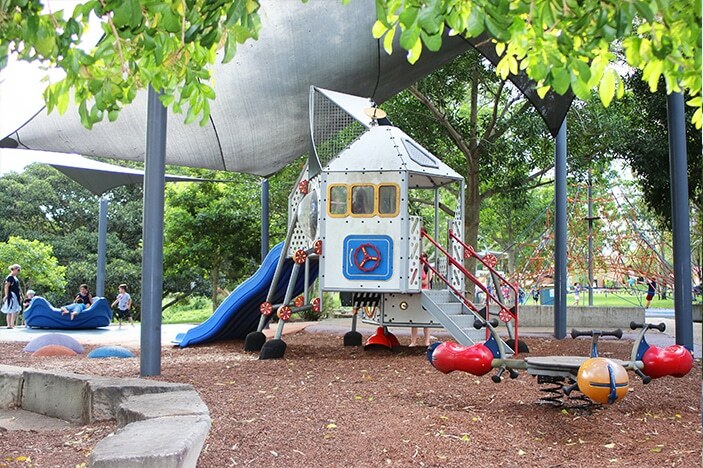 There is also a boardwalk and stairs down to the river AND low flying planes to wow the aviator in your Brisbane Kid, as it is very close to the airport. Be the sea captain that captured the giant fish or the pirate making his captive walk the plank – this playground is an awesome seaside adventure waiting to happen! Little BMX stars will also have a ball riding the gently rolling hills of the grassy spaces of Colmslie Beach Reserve. 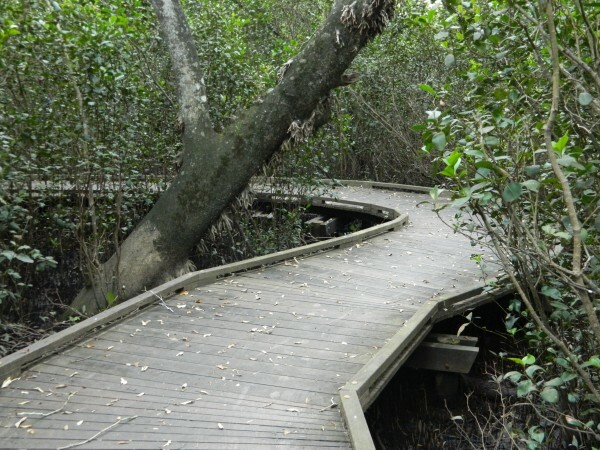 Colmslie Beach Reserve has wheelchair-accessible public toilet facilities. 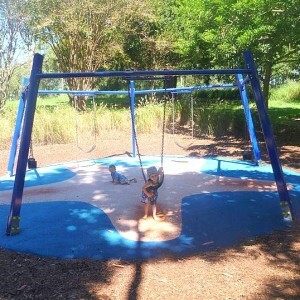 The playground is unfenced and shaded in many parts by mature shade trees and shade sails. There are meandering bike and walking paths around the park that are perfect for Brisbane Kids testing out their riding skills. 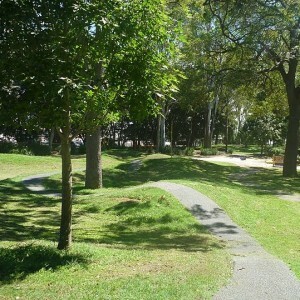 Picnic shelters with tables and barbeques feature in the area. 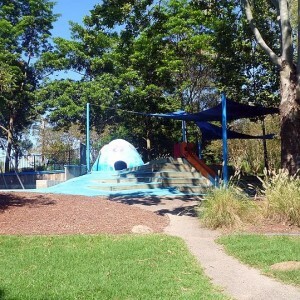 Another great nearby Brisbane Playground is Hamilton Recreation Reserve. Colmslie Beach Reserve is located on Colmslie Road in Murarrie. 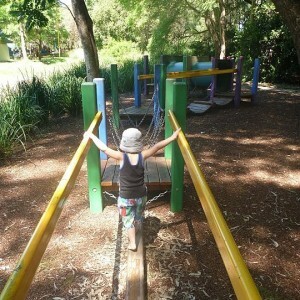 Great park but take some really potent bug spray for you and the kids, the mozzies are a nightmare!